Counseling Durham, NC: Caring and Competent. Find the right therapist near you. Counseling in Durham, NC. Find the Right Therapist. Safe, effective, and caring. Affordable therapists near you in Durham, North Carolina will help you make the changes you want. I provide a safe and empathetic space to discuss challenging issues. Many people do not reach out for help due to feeling ashamed or embarrassed. With me, you will feel free to address any concern and discover a path towards healing and growth. 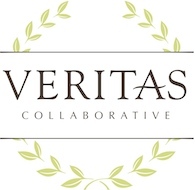 Veritas Collaborative, a Specialty Behavioral Health Hospital for Young People & Center of Excellence for the Treatment of Eating Disorders, treats male and female children & adolescents, 10 – 19 years of age, at the acute inpatient, sub-acute inpatient/acute residential, and partial hospitalization levels of care. Three key components of treatment at Veritas Collaborative are the hands-on culinary program, extensive family involvement in treatment, and the on-site school that allows patients to continue their academic trajectory while on the road to recovery. Located in Durham, North Carolina, Structure House provides transformative and life-saving residential weight loss services for adult men and women so that they can achieve the healthier, more productive lives they deserve. Call me for a free intial consultation, and let's see if we might work well together. I will provide a safe, accepting, encouraging place for us to look at what troubles you, resolve issues that get in your way, and bring you deeper into the life you want to be living. Seth Dennis, Seth J. Dennis, M. Ed., Psy. D.
I practice psychology with the guiding principles of respect for individual differences and diversity, honesty and integrity, and a commitment to producing results. You are paying me to help you, and I take that mandate seriously. With over 14 years of experience, I provide a range of psychological and psychoeducational testing services, including testing for diagnostic clarification, career, adoption readiness, as well as learning difficulties, AD/HD, Kindergarten readiness and giftedness. Durham, North Carolina is located in a fantastic spot for those with children and teenagers within the family. AMF Durham Lanes has everything for a family afternoon of friendly bowling including an arcade and pool tables. Wheels Family Fun is another great attraction sure to be entertaining for all involved. Here your teenagers can skateboard, race on the go-kart track, play golf, and much more. This location is suitable for your children of all ages. If you wish to entertain your children while shopping, the Brass Ring Carousel is located within Northgate Mall and is only one dollar. For families seeking to relax while enjoying the perfect film the Carmike Wynnsong 15 Theater is one of many places featuring newly released movies. The city prides itself on its sense of community and annual events. The American Dance Festival is held in June each year and brings people from all over the country with modern performances.1 During December, Light Up Durham is the city's Christmas ceremony located downtown.